Is It Possible To Learn Basic Horse Training For Beginners? If you are a true beginner when it comes to horses, you have no business training, so don’t be taken in by articles and advice regarding learning “basic horse training for beginners”. Attempting to “train” a horse when you don’t know what you are doing is an activity that is doomed to fail. Handling a horse badly can result in injury to you and the horse. If nothing else, improper handling can ruin the horse and make it difficult or impossible for someone knowledgeable to unravel the mess caused by “beginner’s horse training”. In this article, we discuss appropriate approaches and goals for beginning horsemen and women. Read on to learn more. Good horsemanship is a lifelong process. Every person is an individual, and every horse is an individual. A cookie cutter approach to horse training or horsemanship will not work. To be a skilled rider and/or trainer, you must be sensitive, empathetic, patient and creative. You must be ready and willing to take time to understand and deliver what is needed in every given situation. Be safe. If you are really a beginner, start by handling, working with and riding horses that are already tame. Understand that you will learn from them, not the other way around. Spend time around horses. Observe and handle them. Watch and learn to interpret body language, facial expressions and behavior. Become comfortable around them. Learn about ground handling, grooming, feeding and overall horse care. Talk with skilled horse men and women and glean knowledge. You don’t have to (and should not) take every word of every experienced person as gospel. Remember that you are an individual and so is your horse. Take what you need and leave the rest. Learn about horse nutrition and how different types of feed and different ways of feeding can affect horse behavior. Be patient. If you are a beginner, you don’t have any knowledge to impart to a horse. Wait until you are entirely comfortable and confident around horses before you ever try to teach a horse anything. 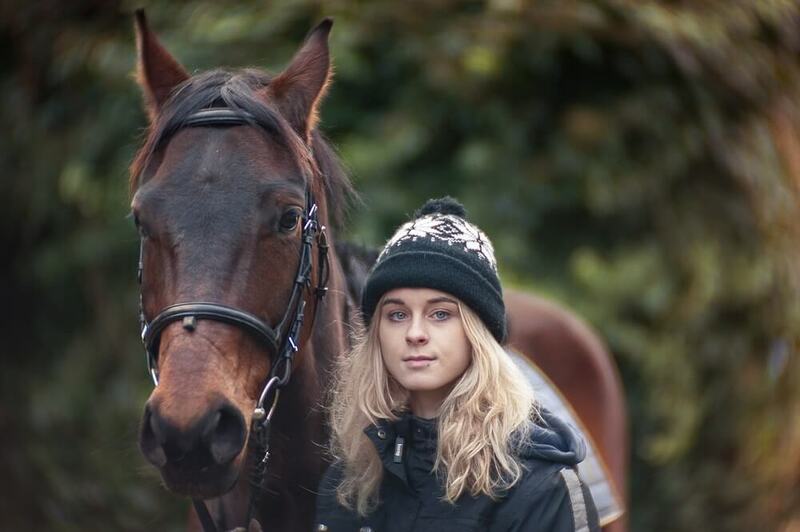 When you have spent a significant period of time with horses (this varies from one person to another) and are confident catching, feeding, grooming, tacking up and riding and have graduated from very gentle, tame, well-trained horses to those who may be a bit more challenging, you can begin thinking about doing a little training. If you are a true beginner, you should not have your own horse. Begin by working with horses at a stable and learning from experienced horsemen and women. When you have gained experience and feel confident with horses, you can think about getting your own horse. Be sure to take an experienced friend with you as you look at horses to help you evaluate them. It’s best if you can choose a horse whose temperament and training is well suited to your own temperament and abilities, but a perfect match is not always possible. Furthermore, no matter how well-matched you are with your new horse, there will still be an adjustment period for both of you. Your horse must adjust to his new home, and you must adjust to the responsibility of caring for this very large animal who will be completely dependent upon you. That’s why it’s best to start out slowly when training your new horse. Even though you may really want to hop on and start riding right away, it’s often a good idea to give a new horse a full month to settle in before you begin riding. During this time, you can really get to know each other. Start at square-one with beginner’s mind. You don’t know this horse, and he doesn‘t know you. Take your time learning his preferences in grooming, feeding, handling and care. Do a lot of hand walking, ground work and lunging. Simply spend time together and get to know each other. Introduce the verbal cues you intend to use, and spend a lot of time talking so that the horse can get used to your voice and learn how to respond to you. When you invest time in getting to know your horse, you are building trust and a firm foundation. 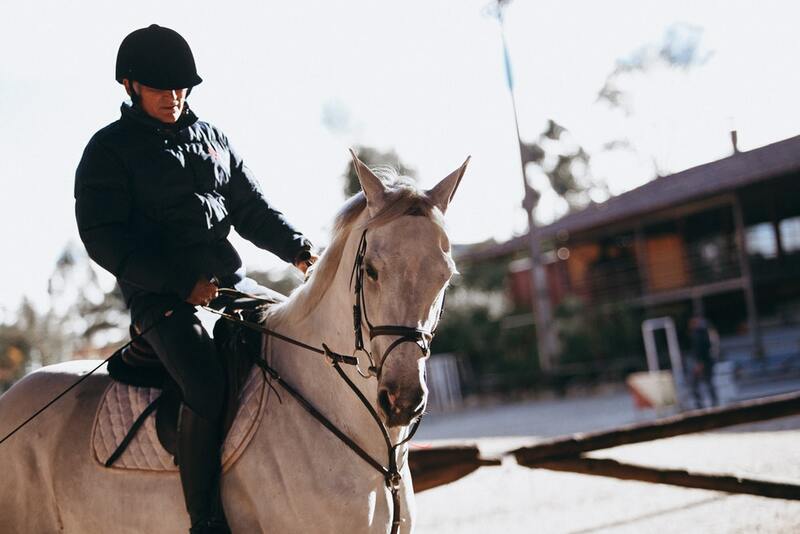 When you begin riding and training, you will find that your horse understands you better and responds positively to your cues and instructions. A solid, trusting foundation makes all sorts of training easier and insures that your horse will pay attention to you and try to comply with you when frightened or in an emergency situation. As individuals (both horses and people) we are continuously growing and learning. This is why we can approach the same challenge many times and see a new way to overcome it each time. People who approach horses as if they were vehicles and attempt to force them to conform to a specific set of rules limit their own and their horse’s potential. If you are to be successful training a new horse and/or teaching your old, familiar horse something new, you must be able and willing to learn, grow, evaluate and adjust. This approach is what keeps good horsemanship fresh, new, exciting and positively challenging.